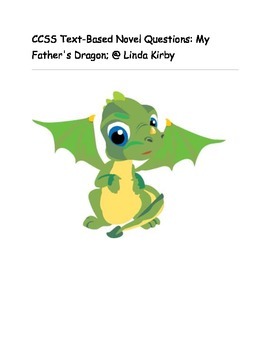 CCSS Text Based Novel Questions "My Father's Dragon"
Novel unit for My Father's Dragon. The questions are text-based and require close reading of the text. Beneficial for large groups, small groups, and RTI groups. Students are required to provide constructed responses (CRA) which help in the preparation for PARCC. Answer questions specificially from the text, including details. Determine meanings of words in text from context clues. Use informaiton gained from illustrations.